STARKVILLE – Mark Coblentz can remember going to his grandmother’s house when he was about 2 years old and helping her make cookies. 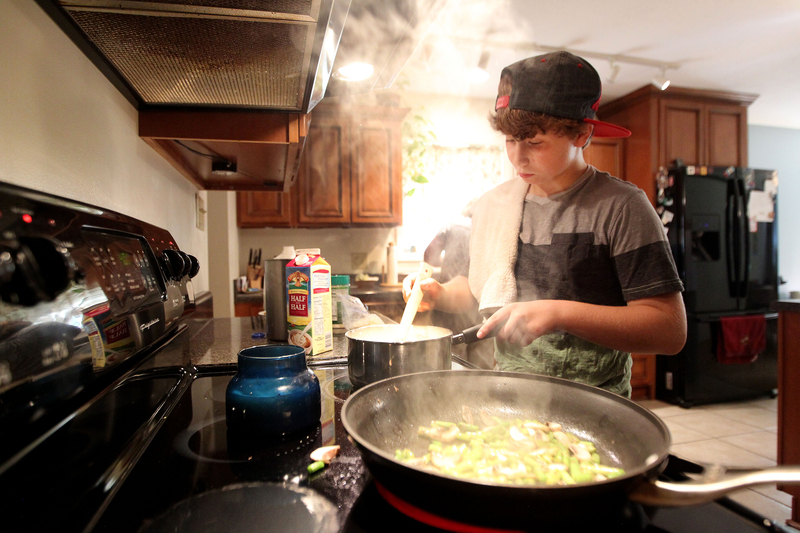 That experimentation has landed the Armstrong Middle School seventh-grader a spot on the Food Network’s “Chopped Junior” cooking show. Mark’s dad, Robbie, is co-owner of Tellos Creative advertising agency and owner of Broadcast Media Group, a video production company, so Mark was used to being in front of the camera. “When I found out I got to be on TV and cook, I said, ‘I want to do that,’” Mark said. After a series of Skype interviews, phone interviews, demo tapes and piles of paperwork, Mark landed one of four spots on the episode that will air Nov. 10 at 7 p.m. He and his family, including mom Bonnie and older-brother David, spent four days in August in New York taping the show.